Some of friends that upgraded their Operating System to Window 10 has downgrade to window 7 already, because they can easily manage how the OS use their data. Window 10 data consumption is alarming, especially when you have a small budget of data subscription monthly. Even after stopping the window update in window 10, it seem it not enough. Your data is still being tampered with, with some background applications. You do not need to worry over that any longer, this article will guide on How to Stop Window 10 from Excessively using your data. Since you’re not using an unlimited Internet plan, you should let Windows 10 know that your connection is a metered one. Microsoft lets you adjust the connection settings and set any connection as metered. 1. Click the connection icon on the taskbar and then select Network & Internet Settings. 2. Click on Connection properties. 3. Toggle on Set as metered connection. Note that you should do this for every new internet connection. For instance, if you’ve already set your mobile WiFi router as a metered connection, you should also repeat this step if you ever connect your phone as a WiFi hotspot. To deliver Windows updates faster globally, Microsoft enabled P2P (peer-to-peer) Windows update on Windows 10. This simply means another user with a Windows 10 computer could download updates from your own computer instead of getting it directly from Microsoft. It’s more or less just like how torrents work. If you’re on a limited internet plan, this isn’t in your best interest and you should disable this feature. 1. Click the Start button and go to Settings. 2. Select Update and Security. 3. Click Windows Update, then Advanced Options. 4. Click “Choose how updates are delivered“. 5. Turn off using the toggle. This should stop Windows from using your allocated bandwidth to update other people’s computers. 2. Type services.msc and hit Enter. 3. Scroll down till you see Windows Update. Right-click and choose Properties. 5. Click OK. Windows update service should no longer startup with your computer. If everything fails and your computer is still draining your allocated data and wrecking your internet subscription, you may have to monitor data usage with a program like NetLimiter. If you’ve ever used Little Snitch on macOS, NetLimiter is it’s equivalent on Windows. NetLimiter is a firewall app that monitors incoming and outgoing connections through a simple user interface. It lets you easily block apps from accessing your internet connection. You can as well limit the download and upload speed. 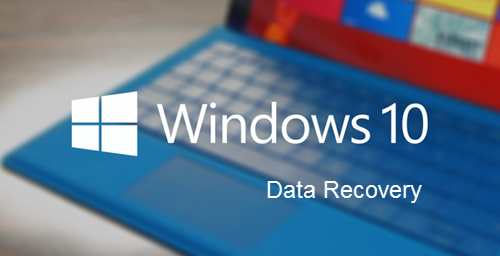 There are times when the problem isn’t even from Windows update, but from other processes like wermgr.exe (Windows Error Reporting Manager), svchost.exe or even OfficeClicktoRun.exe. 1. Launch the program and identify the process you want to block. 3. Select Firewall under Rule Type. 4. Under Firewall action, select Deny to block the process from accessing the Internet. Be careful when using Netlimiter, don’t just go about blocking everything as you may shut your computer completely from accessing the Internet. Instead of completely blocking processes, you may also limit their upload and download speed to just 5KB/s. Click Task Scheduler Library > Microsoft > Windows. –Background Intelligent Transfer > click > right-click on each task and disable it. –Update Orchestrator > click > delete all tasks > delete folder. –Windows Update > click > delete all tasks > delete folder. Never be bugged by Windows Update again!